My love affair with noodles is tumultuous at times. More so recently with my new on-again, off-again Paleo train. I love noodles. More than I do rice or breads. So it’s one of the biggest challenges I have had in terms of giving it up. I haven’t quite given it up yet. I love it so, and it clings to my hips in an unseemly fashion. Sometimes, the cravings get too much and I must have a bowl of hot noodles. I usually succumb to a bowl of ramen, laksa, or pho and will happily indulge until I feel like an absolute glutton. This was how the Boy and I found ourselves during New Year’s day, slurping to our hearts content, until I was finally satisfied and ready for another no noodles week. I think it seriously is a good indication of how awesome the year is going to be when your first meal of the year is a bowl of delicious noodles. 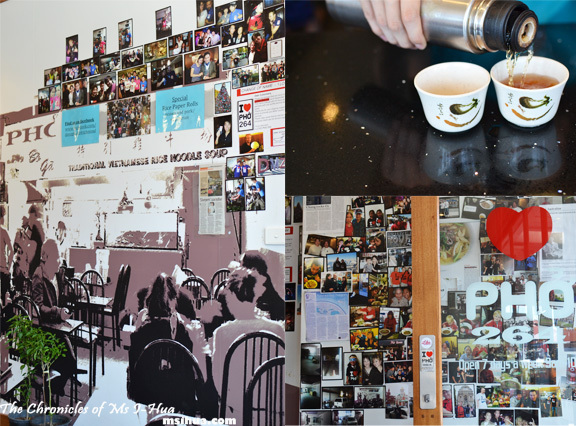 Adorning the walls as you walk through the entrance are scenes from the old Pho Chu The (the old I Love Pho 264). They have managed to start a Facebook trend where fans of I Love Pho 264 wear the aforementioned branded T-Shirt and post pictures of themselves from around the globe. A really fun wall! 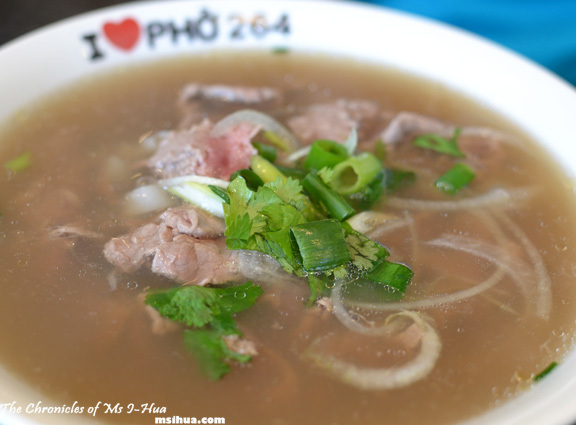 The Boy enjoyed his Phô Bò Tài (Pho with Sliced Beef) $8 and thought it was rather a good version. The broth seemed rich in flavour. As usual, due to my inability to process beef, I went with the Phô Bò Gà Xé (Pho with Shredded Chicken) $8. I lie, I do usually choose the more exotic ones with giblets and/or other chicken bits, but I felt on that day, that I really just wanted to go simple and enjoy the chicken. All in all, it was a pretty decent meal. 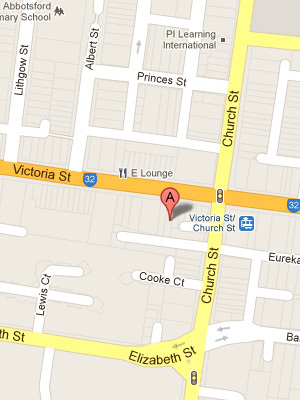 I love pho to bits too but due to transport issues, i rarely have pho in richmond. 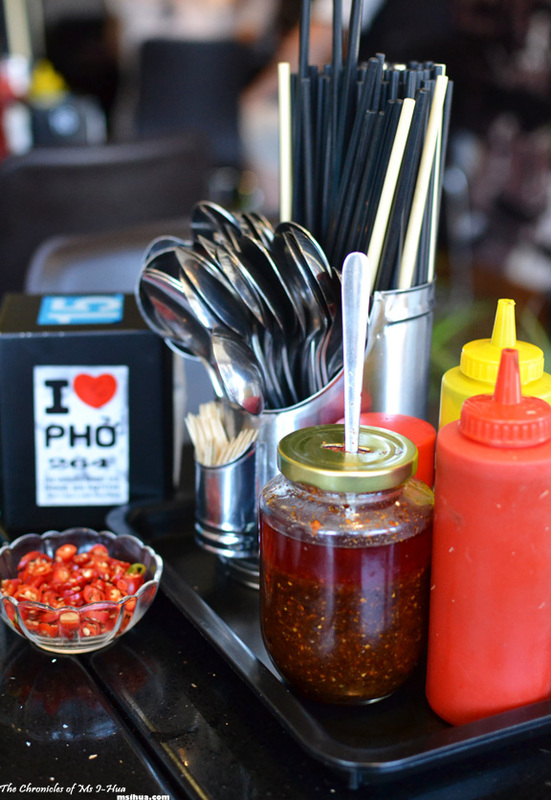 I usually get pho ga as well, my favourite! Ames recently posted…Can you Fandango? Looks good:) Good price too! Why are you giving up noodles? I could never give up noodles. Have you thought of ditching something else from your diet? 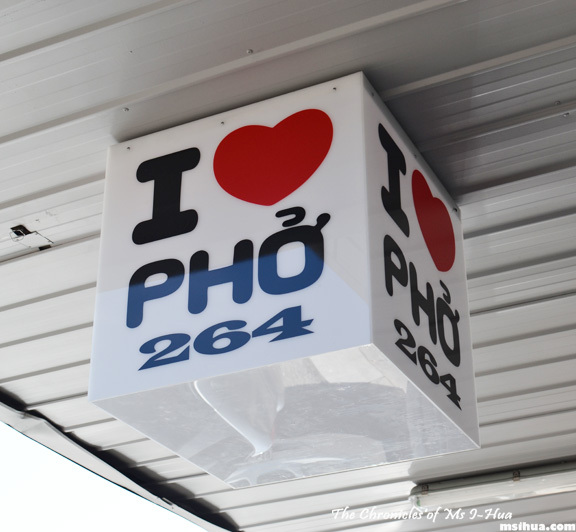 I love Pho 264 used to be (massively popular) Phu Chu The on 270 Victoria St. I think it tastes the same, but just not as shiok being in new premises. Fakegf loves the Bo Kho (tomatoey beef stew, ask for it with the kway teow). Yes I don’t 😛 Addendum! HAHAHAHAHAH… so cute la! 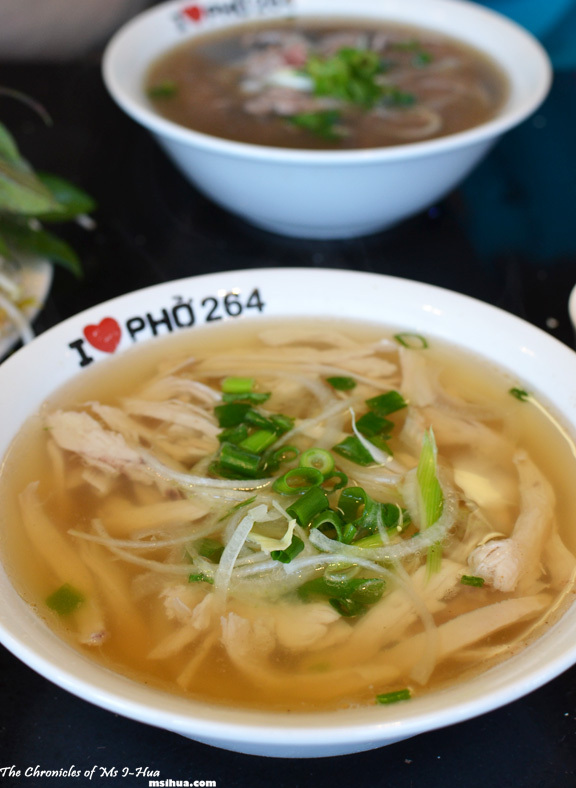 I love the I Love Pho bowls – wonder if they sell them?